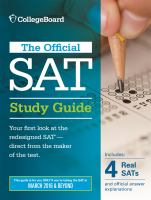 The Official SAT Study Guide. Available through the library. 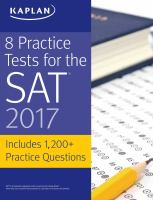 8 Practice Tests for the SAT. Available through the cloud library. 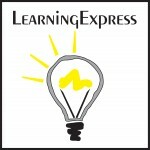 Need help applying to Colleges? How to choose the right school for you. Guidance on choosing where you want to apply. Advice for the College Applicant: Everything from how to pick where you want to apply, to tips on writing your application essay. Applying 101: Tips and tools for College Applicants. FAFSA: Free Application for Federal Student Aid: Federal Student Aid, a part of the U.S. Department of Education, is the largest provider of student financial aid in the nation. Types of Financial Aid: What you need to know about Grants & Scholarships, Loans, Work-Study. Avoiding Scams: Before you apply for financial aid, learn how to spot potential fraud, avoid paying for free services, and prevent identity theft. In the last 20 years, tuition has increased by a factor of more than 200 percent, which is 3 times the increase in earned income of the average family. It takes from 25 to 30 percent of a family’s yearly after tax earnings to pay for a single child’s college education. Utilizing their access to college counseling, admissions, and financial aid professionals at colleges and universities across the country, this father and son team have developed a program to make paying for college manageable.